RATES AS LOW AS 1.99%!! 1 OWNER!! 2016 MERCEDES-BENZ C 300W4 4MATIC® IN IRIDIUM SILVER METALLIC OVER SILK BEIGE MB-TEX LEATHER!! LOADED WITH PREMIUM 1 PKG, KEYLESS GO®, 320 MULTIMEDIA PKG WITH COMAND® NAVIGATION, BLIND SPOT ASSIST, REARVIEW CAMERA, PANORAMA SUNROOF, AND MORE!! UNLIMITED CONFIDENCE!! Mercedes-Benz Certified Pre-Owned means you get an additional 12 months Limited Warranty on top of the existing factory warranty, WITHOUT ANY MILEAGE RESTRICTIONS!! We also do up to a 162-point rigorous inspection/reconditioning, 24/7 roadside assistance, trip-interruption services, and a complete CARFAX vehicle history report.RATES AS LOW AS 1.99%!! 1 OWNER!! 2016 MERCEDES-BENZ C 300W4 4MATIC® IN IRIDIUM SILVER METALLIC OVER SILK BEIGE MB-TEX LEATHER!! LOADED WITH PREMIUM 1 PKG, KEYLESS GO®, 320 MULTIMEDIA PKG WITH COMAND® NAVIGATION, BLIND SPOT ASSIST, REARVIEW CAMERA, PANORAMA SUNROOF, AND MORE!! UNLIMITED CONFIDENCE!! Mercedes-Benz Certified Pre-Owned means you get an additional 12 months Limited Warranty on top of the existing factory warranty, WITHOUT ANY MILEAGE RESTRICTIONS!! We also do up to a 162-point rigorous inspection/reconditioning, 24/7 roadside assistance, trip-interruption services, and a complete CARFAX vehicle history report. RATES AS LOW AS 1.99%!! 1 OWNER!! CLEAN CARFAX!! BRAKE FLUSH!! 2 NEW TIRES!! 4 WHEEL ALIGNMENT!! CERTIFIED 2016 MERCEDES-BENZ C 450 AMG IN OBSIDIAN BLACK OVER BLACK MB-TEX/DINAMICA!! LOADED WITH PREMIUM 2 PKG, LIGHTING PKG, DYNAMIC LED HEADLAMPS, MULTIMEDIA PKG, COMMAND NAVIGATION W/VOICE CONTROL, NIGHT PKG, HEAD-UP DISPLAY, 18" AMG® WHEELS, BURMESTER SURROUND, PANORAMA MOONROOF, KEYLESS GO, REARVIEW CAMERA, BLIND SPOT ASSIST, HEATED SEATS, AND MORE!! UNLIMITED CONFIDENCE!! Mercedes-Benz Certified Pre-Owned means you get an additional 12 months Limited Warranty on top of the existing factory warranty, WITHOUT ANY MILEAGE RESTRICTIONS!! We also do up to a 162-point rigorous inspection/reconditioning, 24/7 roadside assistance, trip-interruption services, and a complete CARFAX vehicle history report.RATES AS LOW AS 1.99%!! 1 OWNER!! CLEAN CARFAX!! BRAKE FLUSH!! 2 NEW TIRES!! 4 WHEEL ALIGNMENT!! CERTIFIED 2016 MERCEDES-BENZ C 450 AMG IN OBSIDIAN BLACK OVER BLACK MB-TEX/DINAMICA!! 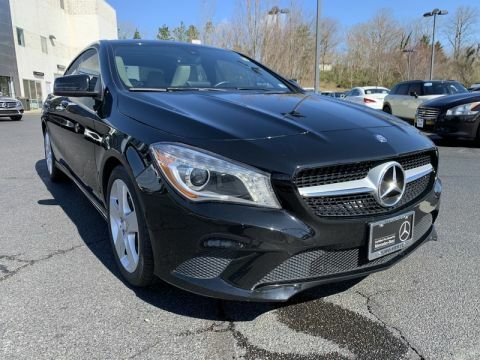 LOADED WITH PREMIUM 2 PKG, LIGHTING PKG, DYNAMIC LED HEADLAMPS, MULTIMEDIA PKG, COMMAND NAVIGATION W/VOICE CONTROL, NIGHT PKG, HEAD-UP DISPLAY, 18" AMG® WHEELS, BURMESTER SURROUND, PANORAMA MOONROOF, KEYLESS GO, REARVIEW CAMERA, BLIND SPOT ASSIST, HEATED SEATS, AND MORE!! UNLIMITED CONFIDENCE!! Mercedes-Benz Certified Pre-Owned means you get an additional 12 months Limited Warranty on top of the existing factory warranty, WITHOUT ANY MILEAGE RESTRICTIONS!! We also do up to a 162-point rigorous inspection/reconditioning, 24/7 roadside assistance, trip-interruption services, and a complete CARFAX vehicle history report. 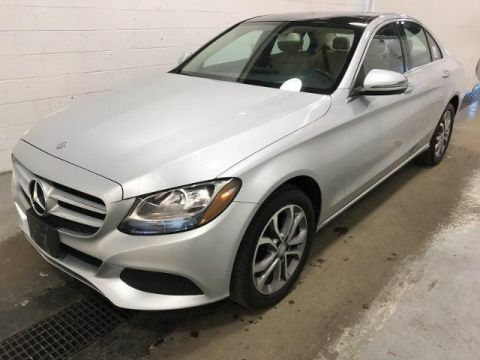 2.99% FOR UP TO 72 MONTHS WITH MBFS FINANCING, 2018 C 300W IN POLAR WHITE OVER BLACK MB-TEX, LOADED WITH PREMIUM 1 PKG, 321 AMG® LINE SPORT, 317 HANDS-FREE ACCESS PKG, KEYLESS GO®, BLIND SPOT ASSIST, 868 SMARTPHONE INTEGRATION, REARVIEW CAMERA, LED HEADLAMPS AND TAILLAMPS, BURMESTER SURROUND SOUND, HEATED FRONT SEATS, 18 INCH AMG® MULTI-SPOKE WHEELS, AND MORE!!! 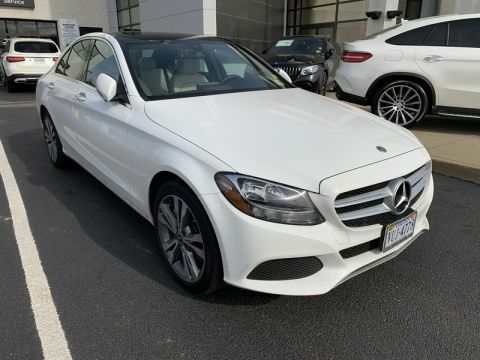 !2.99% FOR UP TO 72 MONTHS WITH MBFS FINANCING, 2018 C 300W IN POLAR WHITE OVER BLACK MB-TEX, LOADED WITH PREMIUM 1 PKG, 321 AMG® LINE SPORT, 317 HANDS-FREE ACCESS PKG, KEYLESS GO®, BLIND SPOT ASSIST, 868 SMARTPHONE INTEGRATION, REARVIEW CAMERA, LED HEADLAMPS AND TAILLAMPS, BURMESTER SURROUND SOUND, HEATED FRONT SEATS, 18 INCH AMG® MULTI-SPOKE WHEELS, AND MORE!!!! 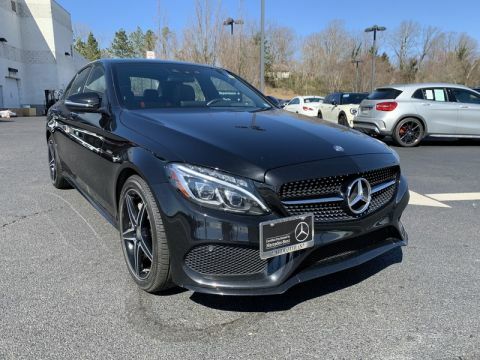 2.99% FOR UP TO 72 MONTHS WITH MBFS FINANCING, 2018 C 300W IN BLACK OVER BLACK MB-TEX, LOADED WITH PREMIUM 1 PKG, 321 AMG® LINE SPORT, 317 HANDS-FREE ACCESS PKG, KEYLESS GO®, BLIND SPOT ASSIST, 868 SMARTPHONE INTEGRATION, REARVIEW CAMERA, LED HEADLAMPS AND TAILLAMPS, BURMESTER SURROUND SOUND, HEATED FRONT SEATS, 18 INCH AMG® MULTI-SPOKE WHEELS, AND MORE!!! !2.99% FOR UP TO 72 MONTHS WITH MBFS FINANCING, 2018 C 300W IN BLACK OVER BLACK MB-TEX, LOADED WITH PREMIUM 1 PKG, 321 AMG® LINE SPORT, 317 HANDS-FREE ACCESS PKG, KEYLESS GO®, BLIND SPOT ASSIST, 868 SMARTPHONE INTEGRATION, REARVIEW CAMERA, LED HEADLAMPS AND TAILLAMPS, BURMESTER SURROUND SOUND, HEATED FRONT SEATS, 18 INCH AMG® MULTI-SPOKE WHEELS, AND MORE!!!! SUPER SPECIAL LEASE OR FINANCE ON THIS ONE / VIEW ORIGINAL AUTOIPACKET DOCS INCLUDING WINDOW STICKER AT MBOFMIDLOTHIAN.COM OR CALL 804.545.9600 / THANK YOU!SUPER SPECIAL LEASE OR FINANCE ON THIS ONE / VIEW ORIGINAL AUTOIPACKET DOCS INCLUDING WINDOW STICKER AT MBOFMIDLOTHIAN.COM OR CALL 804.545.9600 / THANK YOU! 2.99% FOR UP TO 72 MONTHS WITH MBFS FINANCING, 2018 C 300W4 IN BLACK OVER BLACK MB-TEX, LOADED WITH PREMIUM 1 PKG, 321 AMG® LINE SPORT, KEYLESS GO®, BLIND SPOT ASSIST, 868 SMARTPHONE INTEGRATION, REARVIEW CAMERA, PANORAMA ROOF, LED HEADLAMPS AND TAILLAMPS, BURMESTER SURROUND SOUND, HEATED FRONT SEATS, 19 INCH AMG® MULTI-SPOKE WHEELS, AND MORE!!! !2.99% FOR UP TO 72 MONTHS WITH MBFS FINANCING, 2018 C 300W4 IN BLACK OVER BLACK MB-TEX, LOADED WITH PREMIUM 1 PKG, 321 AMG® LINE SPORT, KEYLESS GO®, BLIND SPOT ASSIST, 868 SMARTPHONE INTEGRATION, REARVIEW CAMERA, PANORAMA ROOF, LED HEADLAMPS AND TAILLAMPS, BURMESTER SURROUND SOUND, HEATED FRONT SEATS, 19 INCH AMG® MULTI-SPOKE WHEELS, AND MORE!!!! 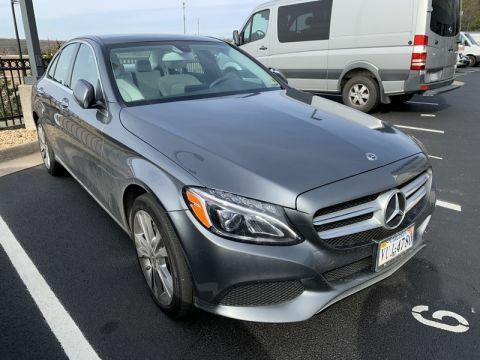 2.99% FOR UP TO 72 MONTHS WITH MBFS FINANCING, 2018 C 300W4 IN SELENITE GREY METALLIC OVER BLACK MB-TEX, LOADED WITH PREMIUM 1 PKG, 320 MULTIMEDIA PKG WITH COMAND® NAVIGATION, KEYLESS GO®, BLIND SPOT ASSIST, REARVIEW CAMERA, PANORAMA ROOF, BURMESTER SURROUND SOUND, HEATED FRONT SEATS, HEATED STEERING WHEEL, 18 INCH WHEELS, AND MORE!!! 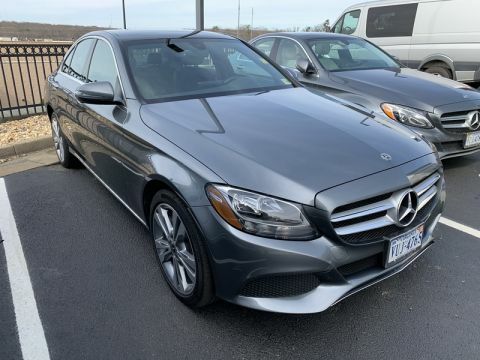 !2.99% FOR UP TO 72 MONTHS WITH MBFS FINANCING, 2018 C 300W4 IN SELENITE GREY METALLIC OVER BLACK MB-TEX, LOADED WITH PREMIUM 1 PKG, 320 MULTIMEDIA PKG WITH COMAND® NAVIGATION, KEYLESS GO®, BLIND SPOT ASSIST, REARVIEW CAMERA, PANORAMA ROOF, BURMESTER SURROUND SOUND, HEATED FRONT SEATS, HEATED STEERING WHEEL, 18 INCH WHEELS, AND MORE!!!! JUST TRADED 2016 KIA CADENZA PREMIUM IN SNOW WHITE PEARL WITH BLACK LEATHER INTERIOR, LUXURY PLUS PKG, HID HEADLIGHTS, HEATED AND VENTILATED FRONT SEATS, HEATED OUTBOARD REAR SEATS, HEATED STEERING WHEEL, BLIND SPOT DETECTION WITH RCTA, PANORAMIC SUNROOF, AND MORE!!!!!!!!! 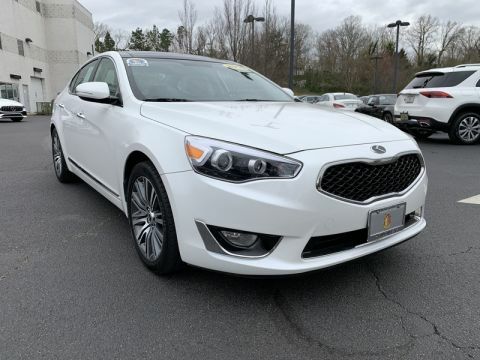 !JUST TRADED 2016 KIA CADENZA PREMIUM IN SNOW WHITE PEARL WITH BLACK LEATHER INTERIOR, LUXURY PLUS PKG, HID HEADLIGHTS, HEATED AND VENTILATED FRONT SEATS, HEATED OUTBOARD REAR SEATS, HEATED STEERING WHEEL, BLIND SPOT DETECTION WITH RCTA, PANORAMIC SUNROOF, AND MORE!!!!!!!!!! CLEAN CARFAX!! 1 OWNER!! 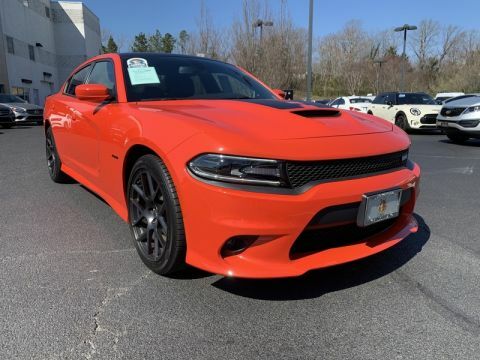 2017 DODGE CHARGER R/T DAYTONA IN GO MANGO OVER BLACK LEATHER!! LOADED WITH BEATS AUDIO, DRIVER CONFIDENCE GROUP, BLIND SPOT ASSIST, HID HEADLAMPS, NAVIGATION, REARVIEW CAMERA, SATELLITE RADIO, PARKING SENSORS, 20" FORGED WHEELS, AND MORE!! REMAINDER OF FACTORY WARRANTY!! !CLEAN CARFAX!! 1 OWNER!! 2017 DODGE CHARGER R/T DAYTONA IN GO MANGO OVER BLACK LEATHER!! LOADED WITH BEATS AUDIO, DRIVER CONFIDENCE GROUP, BLIND SPOT ASSIST, HID HEADLAMPS, NAVIGATION, REARVIEW CAMERA, SATELLITE RADIO, PARKING SENSORS, 20" FORGED WHEELS, AND MORE!! REMAINDER OF FACTORY WARRANTY!!! RATES AS LOW AS 1.99%!! 4 NEW TIRES!! NEW REAR BRAKES!! BRAKE FLUSH!! 4 WHEEL ALIGNMENT!! CLEAN CARFAX!! 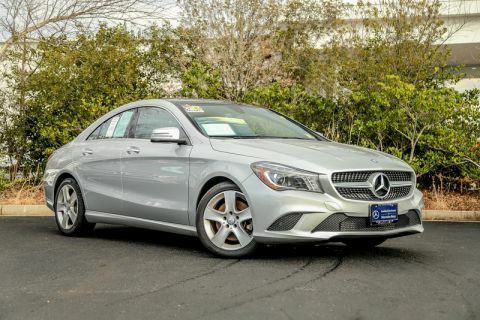 2015 MERCEDES-BENZ CLA 250 4MATIC® IN POLAR SILVER OVER BEIGE MB-TEX LEATHER!! LOADED WITH PREMIUM PKG, KEYLESS GO, BI-XENON HEADLAMPS, PANORAMA MOONROOF, REARVIEW CAMERA, HARMAN KARDON SOUND, HEATED SEATS, AND MORE!! UNLIMITED CONFIDENCE!! Mercedes-Benz Certified Pre-Owned means you get an additional 12 months Limited Warranty on top of the existing factory warranty, WITHOUT ANY MILEAGE RESTRICTIONS!! We also do up to a 162-point rigorous inspection/reconditioning, 24/7 roadside assistance, trip-interruption services, and a complete CARFAX vehicle history report.RATES AS LOW AS 1.99%!! 4 NEW TIRES!! NEW REAR BRAKES!! BRAKE FLUSH!! 4 WHEEL ALIGNMENT!! CLEAN CARFAX!! 2015 MERCEDES-BENZ CLA 250 4MATIC® IN POLAR SILVER OVER BEIGE MB-TEX LEATHER!! LOADED WITH PREMIUM PKG, KEYLESS GO, BI-XENON HEADLAMPS, PANORAMA MOONROOF, REARVIEW CAMERA, HARMAN KARDON SOUND, HEATED SEATS, AND MORE!! UNLIMITED CONFIDENCE!! Mercedes-Benz Certified Pre-Owned means you get an additional 12 months Limited Warranty on top of the existing factory warranty, WITHOUT ANY MILEAGE RESTRICTIONS!! We also do up to a 162-point rigorous inspection/reconditioning, 24/7 roadside assistance, trip-interruption services, and a complete CARFAX vehicle history report. RATES AS LOW AS 1.99%!! 4 NEW TIRES!! NEW FRONT AND REAR BRAKE PADS AND ROTORS, NE MB BATTERY, OIL CHANGE, STATE INSPECTION, CLEAN CARFAX!! 2016 MERCEDES-BENZ CLA 250 4MATIC® IN NIGHT BLACK OVER ASH MB-TEX LEATHER!! 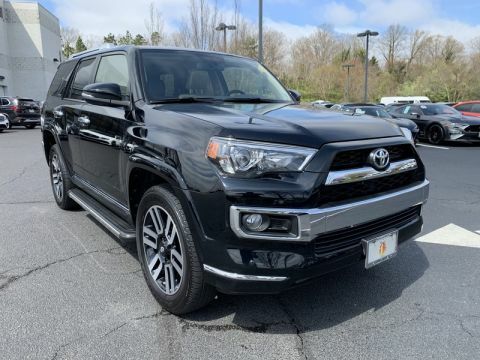 LOADED WITH PREMIUM PKG, MULTIMEDIA PKG, BI-XENON HEADLAMPS, BLIND SPOT ASSIST, COMMAND NAVIGATION, KEYLESS GO, HARMAN/KARDON SOUND, PANORAMA MOONROOF, REARVIEW CAMERA, HEATED SEATS, AND MORE!! UNLIMITED CONFIDENCE!! Mercedes-Benz Certified Pre-Owned means you get an additional 12 months Limited Warranty on top of the existing factory warranty, WITHOUT ANY MILEAGE RESTRICTIONS!! We also do up to a 162-point rigorous inspection/reconditioning, 24/7 roadside assistance, trip-interruption services, and a complete CARFAX vehicle history report.RATES AS LOW AS 1.99%!! 4 NEW TIRES!! NEW FRONT AND REAR BRAKE PADS AND ROTORS, NE MB BATTERY, OIL CHANGE, STATE INSPECTION, CLEAN CARFAX!! 2016 MERCEDES-BENZ CLA 250 4MATIC® IN NIGHT BLACK OVER ASH MB-TEX LEATHER!! 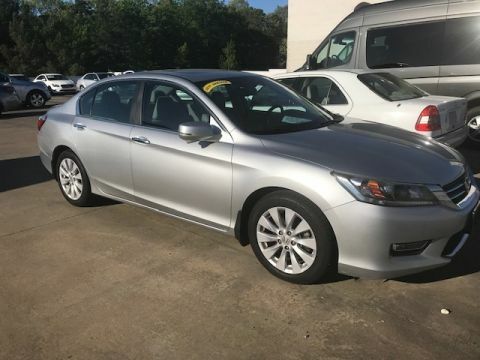 LOADED WITH PREMIUM PKG, MULTIMEDIA PKG, BI-XENON HEADLAMPS, BLIND SPOT ASSIST, COMMAND NAVIGATION, KEYLESS GO, HARMAN/KARDON SOUND, PANORAMA MOONROOF, REARVIEW CAMERA, HEATED SEATS, AND MORE!! UNLIMITED CONFIDENCE!! Mercedes-Benz Certified Pre-Owned means you get an additional 12 months Limited Warranty on top of the existing factory warranty, WITHOUT ANY MILEAGE RESTRICTIONS!! We also do up to a 162-point rigorous inspection/reconditioning, 24/7 roadside assistance, trip-interruption services, and a complete CARFAX vehicle history report. RATES AS LOW AS 1.99%!! 1 OWNER!! 2 NEW TIRES!! BRAKE FLUSH!! 2018 MERCEDES-BENZ CLA 250 4MATIC® IN CIRRUS WHITE OVER SAHARA BEIGE MB-TEX LEATHER!! LOADED WITH PREMIUM PKG, BLIND SPOT ASSIST, CONVENIENCE PKG, SMARTPHONE INTEGRATION PKG, APPLE CARPLAY, ANDROID AUTO, REARVIEW CAMERA, HEATED SEATS, AND MORE!! UNLIMITED CONFIDENCE!! Mercedes-Benz Certified Pre-Owned means you get an additional 12 months Limited Warranty on top of the existing factory warranty, WITHOUT ANY MILEAGE RESTRICTIONS!! We also do up to a 162-point rigorous inspection/reconditioning, 24/7 roadside assistance, trip-interruption services, and a complete CARFAX vehicle history report.RATES AS LOW AS 1.99%!! 1 OWNER!! 2 NEW TIRES!! BRAKE FLUSH!! 2018 MERCEDES-BENZ CLA 250 4MATIC® IN CIRRUS WHITE OVER SAHARA BEIGE MB-TEX LEATHER!! LOADED WITH PREMIUM PKG, BLIND SPOT ASSIST, CONVENIENCE PKG, SMARTPHONE INTEGRATION PKG, APPLE CARPLAY, ANDROID AUTO, REARVIEW CAMERA, HEATED SEATS, AND MORE!! UNLIMITED CONFIDENCE!! Mercedes-Benz Certified Pre-Owned means you get an additional 12 months Limited Warranty on top of the existing factory warranty, WITHOUT ANY MILEAGE RESTRICTIONS!! We also do up to a 162-point rigorous inspection/reconditioning, 24/7 roadside assistance, trip-interruption services, and a complete CARFAX vehicle history report. RATES AS LOW AS 1.99%!! 1 OWNER!! CLEAN CARFAX!! PURCHASED HERE AND TRADED FOR A NEW C COUPE!! 2018 MERCEDES-BENZ CLA 250 4MATIC® IN MOUNTAIN GREY OVER BLACK MB-TEX LEATHER!! LOADED WITH SMARTPHONE INTEGRATION PKG, APPLE CARPLAY, ANDROID AUTO, PANORAMA MOONROOF, REARVIEW CAMERA, HEATED SEATS, BLUETOOTH AND MORE!! UNLIMITED CONFIDENCE!! Mercedes-Benz Certified Pre-Owned means you get an additional 12 months Limited Warranty on top of the existing factory warranty, WITHOUT ANY MILEAGE RESTRICTIONS!! We also do up to a 162-point rigorous inspection/reconditioning, 24/7 roadside assistance, trip-interruption services, and a complete CARFAX vehicle history report.RATES AS LOW AS 1.99%!! 1 OWNER!! CLEAN CARFAX!! PURCHASED HERE AND TRADED FOR A NEW C COUPE!! 2018 MERCEDES-BENZ CLA 250 4MATIC® IN MOUNTAIN GREY OVER BLACK MB-TEX LEATHER!! LOADED WITH SMARTPHONE INTEGRATION PKG, APPLE CARPLAY, ANDROID AUTO, PANORAMA MOONROOF, REARVIEW CAMERA, HEATED SEATS, BLUETOOTH AND MORE!! UNLIMITED CONFIDENCE!! Mercedes-Benz Certified Pre-Owned means you get an additional 12 months Limited Warranty on top of the existing factory warranty, WITHOUT ANY MILEAGE RESTRICTIONS!! We also do up to a 162-point rigorous inspection/reconditioning, 24/7 roadside assistance, trip-interruption services, and a complete CARFAX vehicle history report. 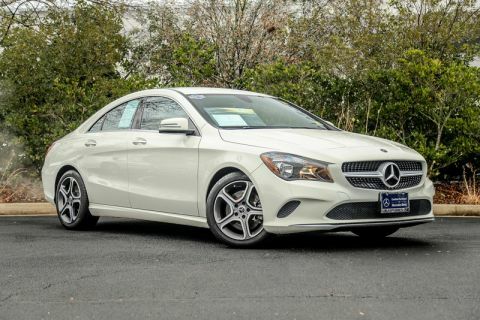 1.99% FOR UP TO 72 MONTHS WITH MBFS FINANCING, 2019 CLA 250C IN POLAR WHITR OVER BLACK MB-TEX, LOADED WITH PREMIUM 1 PKG, 317 CONVENIENCE PKG, KEYLESS GO®, BLIND SPOT ASSIST, 868 SMARTPHONE INTEGRATION, REARVIEW CAMERA, PANORAMA ROOF, STATIC LED HEADLAMPS, HEATED FRONT SEATS, HARMAN KARDON LOGIC 7 SURROUND SOUND, 18 INCH MULTI-SPOKE WHEELS, AND MORE!!! 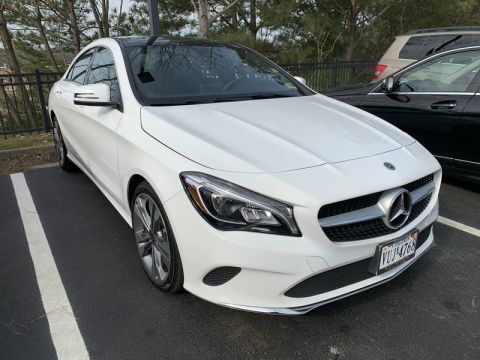 !1.99% FOR UP TO 72 MONTHS WITH MBFS FINANCING, 2019 CLA 250C IN POLAR WHITR OVER BLACK MB-TEX, LOADED WITH PREMIUM 1 PKG, 317 CONVENIENCE PKG, KEYLESS GO®, BLIND SPOT ASSIST, 868 SMARTPHONE INTEGRATION, REARVIEW CAMERA, PANORAMA ROOF, STATIC LED HEADLAMPS, HEATED FRONT SEATS, HARMAN KARDON LOGIC 7 SURROUND SOUND, 18 INCH MULTI-SPOKE WHEELS, AND MORE!!!! 1.99% FOR UP TO 72 MONTHS WITH MBFS FINANCING, 2019 CLA 250C4 IN JUPITER RED OVER BLACK MB-TEX, LOADED WITH PREMIUM 1 PKG, 317 CONVENIENCE PKG, KEYLESS GO®, BLIND SPOT ASSIST, 868 SMARTPHONE INTEGRATION, REARVIEW CAMERA, PANORAMA ROOF, HEATED FRONT SEATS, 18 INCH 5-SPOKE WHEELS, AND MORE!!! 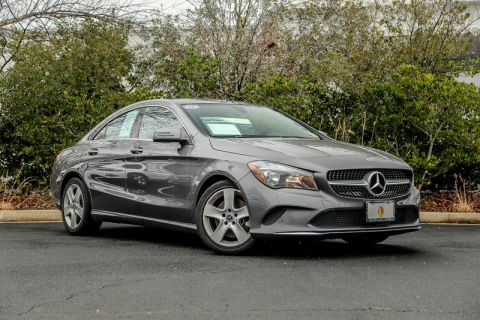 !1.99% FOR UP TO 72 MONTHS WITH MBFS FINANCING, 2019 CLA 250C4 IN JUPITER RED OVER BLACK MB-TEX, LOADED WITH PREMIUM 1 PKG, 317 CONVENIENCE PKG, KEYLESS GO®, BLIND SPOT ASSIST, 868 SMARTPHONE INTEGRATION, REARVIEW CAMERA, PANORAMA ROOF, HEATED FRONT SEATS, 18 INCH 5-SPOKE WHEELS, AND MORE!!! !